Kokua caters to various students, their skill sets and their wants. Some students desire Self-Defense, some desire an actual Fitness Workout program and others look for new physical and mental challenges. 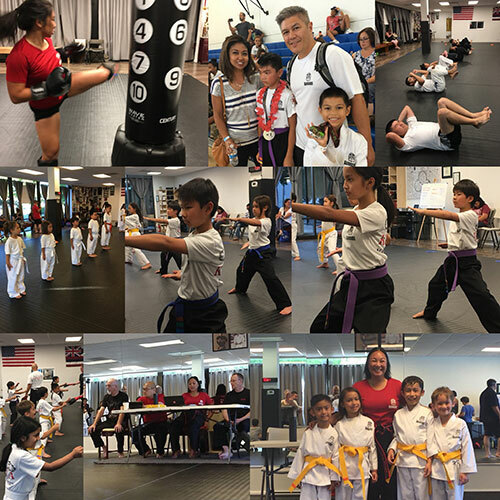 The base curriculum consists of Karate, basic wrestling/grappling, basic Muay Thai Boxing/American Boxing, stickfighting, and Point Fighting. Classes are divided up by age groups: 5-12 years old and 13+. Any advanced placements are on a case-by-case basis. A critical component in Kajukenbo is grappling. 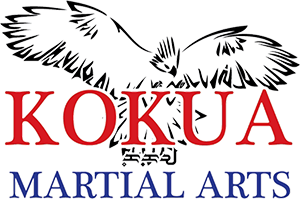 At Kokua, we offer a base wrestling style called freestyle. Freestyle wrestling is an international discipline and an Olympic sport, for both men and women, including youth. Freestyle wrestling has its origins in catch-as-catch-can wrestling and the prime victory condition in this style involves the wrestler winning by pinning his opponent to the mat. American high school and college wrestling is conducted under different rules and is termed scholastic and collegiate wrestling. The goal of our program is to introduce wrestling to those interested in learning the sport, students who compete for or desire to compete for their middle schools or high schools, and for experienced wrestlers and grapplers looking to improve their skills.